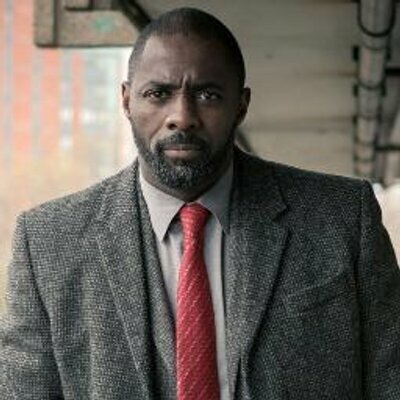 This is Idris Elba playing a guy named ‘Luther.’ Martin Luther said this quote. Ergo, I feel justified using this picture to get you to read the article. The Bible can be a hard book at times. And that’s so for a number of reasons. In the first place, we’re sinners and so we don’t always like listening to what God has to say through it. Kind of like when your mom would call you to take out the trash from up the hall–you manage not to “hear” the message. Beyond that, sometimes even when you want to understand it’s just plain difficult. It’s a grown-up book, translated from a different language (two or three, actually), at a remove of thousands of years, across cultures, and shared histories. What’s more, this collection of narratives, poetry, visions, and letters concerns itself with the most sublime and transcendent Subject of all: God and his works. Of course, that’s not to say we can’t understand it all. That would be rather extreme. No, much of the Bible can be read and understood by most, and there is enough that can be understood by all so that they may know what they need to be saved and live life with God. God has can and does reach us through his Word. That’s the classic doctrine of the clarity of Scripture. All the same, the doctrine of the clarity of Scripture does not teach that no part of the Bible is difficult, or that it will always be equally obvious to all (2 Pet. 3:16). There will be much that is beyond us. And this is important for believers to admit, at times, for a number of reasons I’ll get into in a moment. There is a wisdom in slowing down in your interpretation of Scripture. God’s Word is holy. It is the set apart of his apostles and prophets–heralds of the Holy One–for the divine purpose of drawing his people into fellowship with the Triune God. It is, therefore, as a Kingly proclamation, nothing to be trifled or meddled with. It must “be treated with veneration and profound awe.” In which case, Luther says there will come times when it’s entirely appropriate to say, “I do not understand the words.” There’s absolutely nothing wrong with that. I think it’s especially important for those of us called to teach the Bible–whether in the classroom or the pulpit–to give heed to Luther’s here. There is a pressure for the pastor or the teacher to be the one who knows everything all the time. Now, of course, it’s quite reasonable for us to expect the pastor to know some things. Maybe even more things than most in the congregation. (Though, as any pastor knows, there are usually a number of saints who can give you a run for your seminary education sitting in the pews). Still, whether it’s self-imposed or put on them by others, the pressure to “know it all”; to have every verse down, ready to comment on, and every theological equation solved is there. And so the temptation is to spout off an answer when we really don’t know what we’re talking about. Here are some reasons it’s better to just say “I don’t know,” sometimes. Finally, it should help prevent you from discrediting God’s Word in the ears of your hearers. Unfortunately, your bad teaching that flows from your inability to just admit you’re beyond your depths can turn people off from the Bible because of the distortion you inject into it. Speculative, shallow, half-cocked answers to difficult questions don’t make you sound smarter, they only make the Bible sound worse. Being willing to simply admit you don’t know avoids that danger. Obviously, none of this is an argument for simply shutting up and never preaching anything. As I said, I think there’s plenty that’s clear, and with some study, we are able to truly understand, preach, and teach the Bible. All the same, it’s okay to admit there are times it’s beyond us. It may be that in precisely that way we treat it as we ought: as God’s Holy Word. It’s Reformation Day again–the day we celebrate the Reformation of the Church (and mourn its current disunity) by remembering Martin Luther’s nailing of The 95 theses to the door of the Church in Wittenburg. Last year I wrote a little piece on the proper way of celebrating Reformation Day through repentance. 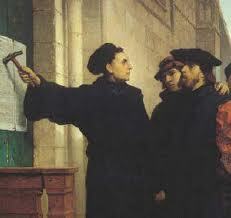 This year, I’d simply like to include a few links and readings for your Reformation Day. When our Lord and Master, Jesus Christ, said “Repent”, He called for the entire life of believers to be one of repentance. If you want a good understanding of what all went into that from one of those medieval experts, Justin Taylor has an interview with Carl Trueman on it that’s pretty helpful. Following that, it’d be wise to work your way through Luther’s more mature letter to Pope Leo, commonly known as “The Freedom of the Christian.” It’s really just fabulous. After you get through the hilariously sarcastic opening, (vintage Luther) you get to some truly meaty Reformation spirituality as Luther explains the true righteousness and freedom that God gives us by faith. From all this it is easy to understand why faith has such great power, and why no good works, nor even all good works put together, can compare with it; since no work can cleave to the word of God, or be in the soul. Faith alone and the word reign in it; and such as is the word, such is the soul made by it; just as iron exposed to fire glows like fire, on account of its union with the fire. It is clear then that to a Christian man his faith suffices for everything, and that he has no need of works for justification. But if he has no need of works, neither has he need of the law; and, if he has no need of the law, he is certainly free from the law, and the saying is true: “The law is not made for a righteous man.” (1 Tim. i. 9.) This is that Christian liberty, our faith, the effect of which is, not that we should be careless or lead a bad life, but that no one should need the law or works for justification and salvation. It’s probably best to print this one, as it’s a longer read. Finally, Calvin fan that I am, I’d be remiss if I didn’t point you to this excellent recent article by Chuck Colson (no, not that one) over at Mere Orthodoxy on Calvin’s view of salvation and sanctification through union with Christ. One of the chief calumnies against the Reformation is that taught a doctrine that cut the nerve of Christian holiness. It seems fitting end by remembering that receiving a justifying righteousness by the free grace of God comes only through union with Christ, and therefore necessarily results in a deeper holiness than that secured by fear or self-justifying works. The Reformation was not only about recovering a true understanding of God’s justifying grace, but his sanctifying grace, through Christ alone. Luther clearly lays out a couple of key points we need to remember to keep straight for the sake of our theology and just general spiritual life. I wonder what my spiritual life would be like if I were trying to be Alfred instead of Batman. God is God. When you pray you’re making a request of your Lord, not commanding a servant. We often-times think about God and prayer as if he were our butler, like a divine Alfred (Batman’s butler/mentor) who manages to be very resourceful in helping us fulfill our missions out in the world. In fact, the situation is quite the opposite. God is equipping and aiding us in being his servants, doing his will. You are not Batman. You are not the hero of your story–God is. If we don’t get this straight, we end up thinking God failed us when it turns out he’s simply decided in his infinite wisdom that the “measure, manner, and time we dictate” are not the way that he wants to do things. God is not in your employ. He is not someone to be fired or reprimanded. He is not waiting for your year-end performance review. He really does know what he’s doing. God Listens. At the same time, God really does listen to prayers offered up through Jesus Christ. (John 14:13; 16:23) Whatever else we think about predestination and foreknowledge, we are told that God listens to our prayers for Christ’s sake. He has “bound” himself in that way, through his promises in Jesus. So many of us do not pray because we think God will not hear us. We think we’re too guilty, too small, too silly, too insignificant. Jesus reassures us that whatever might be true of us, in Christ, we are beloved of the Father and he will always hear us. (John 14:21) He is a God who keeps his promises, even if not always in the way that we expect them. Luther tells us to keep these two truths in mind as we approach prayer. Between them we’re able to approach the God of the universe with the bold humility of faith–and that’s the goal isn’t it? Because Chris Tomlin just wasn’t good enough for Reformation Sunday, our choir performed a majestic rendition of Johann Sebastian Bach’s Cantata No. 4 this morning. Now, I have to admit I am a bit of a neanderthal and growing up in the churches I have, great as they were, I was never really exposed to high church culture; it’s not my natural jam. Still, I was deeply moved by this piece. 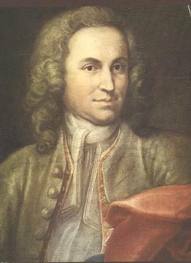 Musically, it was Bach–’nuff said. Lyrically, again, it was Bach, but this particular piece was based on Martin Luther’s hymn, “Christ Lay in Death’s Cold Prison.” While it was meant to be heard, not merely read, I’d encourage you to take some time this week to work your way through the verses, meditating on the deep, Gospel truths about Christ’s death for sin, and hard-won victory of the powers of hell and the grave. It is heavy with theological and spiritual substance; rich food for the soul. Eat up. and brought to us salvation. and held us in its realm of terror. here in our stead descended. the claim of death is ended! It’s sting he now has ended. and did destroy the other. and mocked its fleeting power. and sacrificed to save us. the Strangler now cannot destroy us. has lightened our most sacred place. The night of sin has vanished. One should thus realize that there is only one Gospel, but that it is described by many apostles. Every single epistle of Paul and of Peter, as well as the Acts of the Apostles by Luke, is a Gospel, even though they do not record all the works and words of Christ, but one is shorter and includes less than another. There is not one of the four major Gospels anyway that includes all the words and works of Christ; nor is this necessary. Gospel is and should be nothing else than a discourse or story about Christ, just as happens among men when one writes a book about a king or a prince, telling what he did, said, and suffered in his day. Such a story can be told in various ways; one spins it out, and the other is brief. Thus the Gospel is and should be nothing else than a chronicle, a story, a narrative about Christ, telling who he is, what he did, said, and suffered-a subject which one describes briefly, another more fully, one this way, another that way. For at its briefest, the Gospel is a discourse about Christ, that he is the Son of God and became man for us, that he died and was raised, that he has been established as a Lord over all things. This much St. Paul takes in hand and spins out in his epistles. He bypasses all the miracles and incidents [in Christ’s ministry] which are set forth in the four Gospels, yet he includes the whole Gospel adequately and abundantly. This may be seen clearly and well in his greeting to the Romans [1:1-4], where he says what the Gospel is, and declares, “Paul, a servant of Jesus Christ, called to be an apostle, set apart for the Gospel of God which he promised beforehand through his prophets in the holy scriptures, the Gospel concerning his Son, who was descended from David according to the flesh and designated Son of God in power according to the Spirit of holiness by his resurrection from the dead, Jesus Christ our Lord,” etc. There you have it. The Gospel is a story about Christ, God’s and David’s Son, who died and was raised and is established as Lord. This is the Gospel in a nutshell. Just as there is no more than one Christ, so there is and may be no more than one Gospel….